*Air Navigation Pro requires a subscription. Visit our website for more information. Air Navigation Pro is a high-quality flight assistant app, with real time GPS navigation for mainly VFR pilots. You can plan and track your flights and have access to a database of worldwide airspaces and waypoints. Prepare your flight better than ever with Air Navigation Pro! The Moving Map displays aeronautical charts as background, interactive waypoints, airspaces and planned route. Plan and edit with the Flight Planning function, directly from the moving map or by searching the waypoint’s database. The planned route will be displayed on the moving together with further information such as next point distance, track, heading and many more. The georeferenced approach charts are designed for maximum visibility. Displaying now also in the 3D view, they provide increase awareness of your surroundings during take-off and landing. We provide a worldwide selection of free and paid charts including the main ICAO charts. The Profile View gives all terrain information for better situation awareness and safety enhancement. 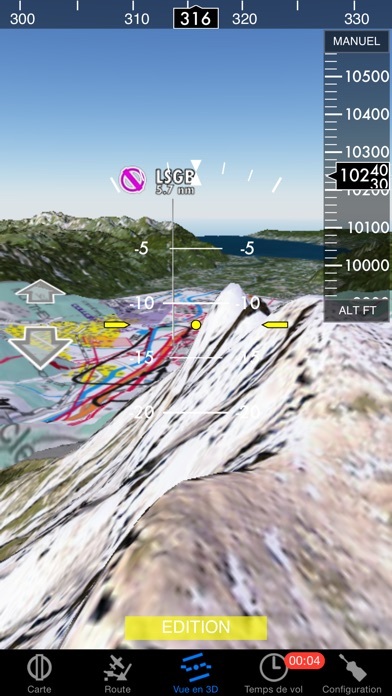 The 3D view provides enhanced terrain awareness and is compatible with georeferenced approach charts. 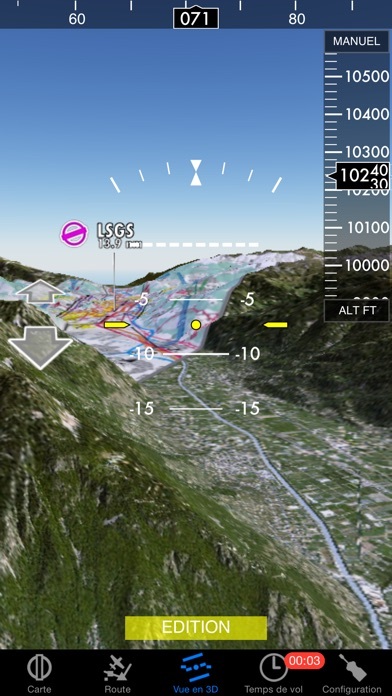 Simulate aircraft instruments, for both helicopters and airplanes, by gathering information from GPS and other sensors. Set a wide range of alerts customized to your needs, for example to notify you when a target altitude has been reached or abandoned. Global aeronautical database with over 200,000 waypoints and 50,000 airspaces constantly being updated. Search and navigate to specific locations. 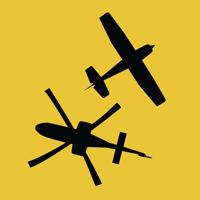 Also create, edit and export custom waypoints and routes and create aircraft profiles for both helicopters and airplanes. The Logbook uses GPS information, and is automatic and fully editable. It can be shared via email or via the integrated webserver. Create different files, like the Operational Flight Plan or the NOTAMs Briefing, that will help you document your flight and follow your plan as you communicate with Air Traffic Services. Interactive NOTAMs are now included in our packages. Interactive NOTAMs are updated NOTAMs tailored for your flight and shortened to avoid information overload. Follow your flight in real time, record your flight, replay and analyze your trace. The recorded flight can also be exported as KML file and be viewed on Google Earth. This app offers yearly auto-renewable subscriptions. *Please note that this software isn’t intended to replace a certified navigation device. You should always use official aeronautical documentation when preparing and performing a flight and always use certified navigation devices when performing a flight.